Once I found out was pregnant, I was petrified nervous but I got over it and accepted the reality of the situation. Being pregnant at 21? Certainly not my top goal. But it happened and now we’re here, a year and some change later and I’m singing Bubble Guppies in the shower & pinning dozens of toddler fashion photos after putting Hands to bed. 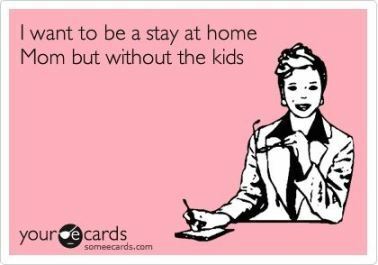 I never ever wanted to be a stay-at-home mom. Ever. After going back & forth with my husband about who would stay with Hands, eventually it ended up being me. We never really made a concrete decision at first since we were both scouring the job market but he ended up getting a new-and better-job opportunity before I did. So I committed to being a SAHM, it made sense and it works out well since I’m finishing up my online graduate courses. Plus, I’m a better multi-tasker than my husband any day of the week. Honestly, being a SAHM has its ups and downs. I get tired and there are no breaks. It can be a bit lonely and frustrating too. But I love being able to get closer to my son each day and learn all his little quirks. But I’m learning that it’s really not so bad after all. 1. Don’t let anyone make the decision for you. You have a choice in the matter. 2. You can always change your mind. If you do, have a plan for child care. 3. Have these conversations with your partner. Tell him/her how you feel. If it’s too much, say so.